Many business owners invest the time and effort at the start of their company to put together a plan for the purposes of securing funding. The goal is to demonstrate they hold a clear understanding of the business’s circumstances and market, with a carefully thought-out plan to maximise available resources and any borrowed capital. However, once that funding lands in their bank account, they’re away and the plan is neglected, forgotten in someone’s filing system. This is unfortunately all too often the case in many firms. Every business should have a strategy but it shouldn’t be a static document, abandoned in a drawer. A dynamic business plan, regularly updated and refocused, is key to ensuring laser-sharp strategy and the resulting growth. To grow, you need to identify exactly where the company is, exactly where you want it to go and perhaps most importantly how you’re going to get it there. It’s almost impossible to see the whole staircase but taking steps in the right direction will help keep you on the right path to achieving your goals. It’s a strategic plan but it’s also a vision and a clear appraisal of the business. Not only does this help you ensure every action takes you closer to your goals, not down the wrong path, but also provides an excellent accountability tool to set targets and budgets. You can then track actual performance against these to ensure your business is working to achieve goals in a realistic timeframe. If you find you’re not hitting your KPIs, it’s time to look again at your practices and processes and redirect your energies sooner rather than later. You’re then much more likely to meet your objectives and be able to identify where and why you may be going astray. This approach can help staff members see how they can assist the business meet its objectives. With clear goals based around productivity benchmarks or profit figures, for example, staff can get on board and be inspired, seeing exactly how their contribution can help. Even better if targets can align with staff appraisals, to ensure they can progress with the business too. A great plan is all well and good but the key is putting it into practice consistently and achieving the objectives. A strong KPI and plan review system to monitor progress is one of the most effective ways to develop and grow your business. Throughout your business journey, you and your company will progress. You as a business owner will need to navigate market changes, tempting opportunities, dead-ends, mistakes, unexpected wins, fantastic chances. With a strong plan, you’re far better placed to face and consider these and maximise or prepare for them. If it’s left until it’s too late, a business is made vulnerable. A continuous and regular planning cycle involving key people ensures plans are kept up-to-date and relevant. Cut out the waffle too – keep it as sharp and frank as you can. The more honestly and to the point it’s prepared, the more robust the plan is and better value it provides. The difficult bit is often facing up to the challenges. Break the plan down carefully and look at your whole business – finances, relevant operational information, marketing or sales objectives and any other goals you might have, such as eventual exit or resale plans. Look at your firm objectively, which is often not easy when you spend most of your waking hours there, to spot weaknesses and draw up some ideas for removing or reducing the impact of these. Unfortunately, sticking your head in the sand doesn’t mean the problem goes away. It’s a damaging and dangerous game. Far better to be prepared and forearmed so any potential problems can be anticipated and acted on. Wherever you are on your business journey, it’s important to highlight areas where things can be improved, opportunities can be taken or steps may have been missed. 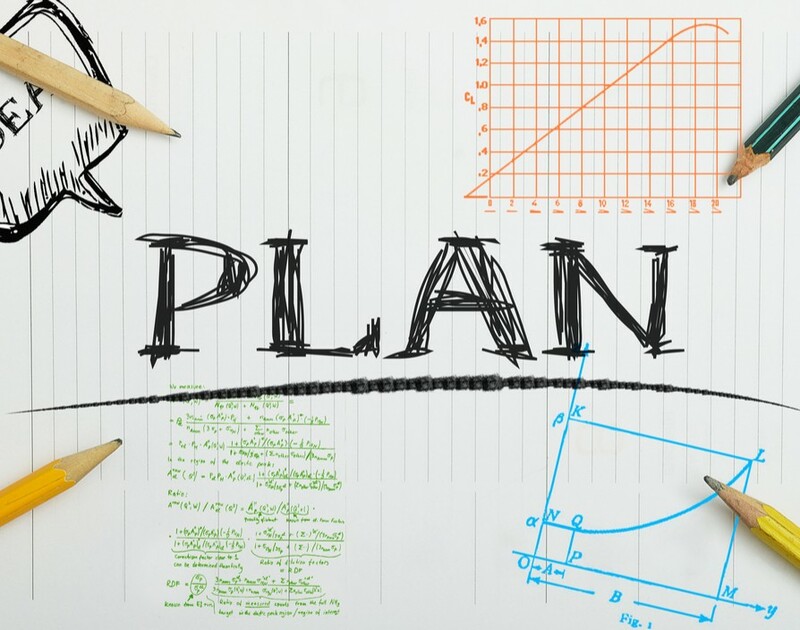 Creating a plan at the start of a business is great but for it to grow, planning must be an ongoing process. Defining and refining your business purpose helps keep you and your staff focused and ensures your firm continues delivering what it is that your customers want. Regardless of the format or timescales you choose for your business plan, any actions, experience and ideas you come across should feed back into the plan to help the business grow and achieve. Having worked within the franchise industry as an operations coordinator in the past, Thomas has developed experience of facilitating the relationship between franchisor and franchise network, which led him to become franchise relationship manager at d&t chartered accountants.